This is not my normal kind of book. 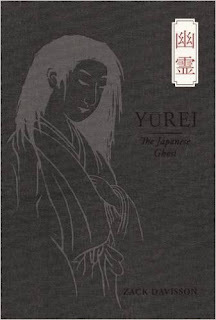 It's about Japanese ghosts and how they fit into Japanese culture. I don't typically stray from fiction when it comes to reading for fun, but this one was cool! I found it because it's by the author that does Japanese cultural essays in Wayward, which is my favorite part about that comic. It's actually the main reason that I still pick it up whenever a new issue releases. Yurei: The Japanese Ghost is all about Japanese ghosts and their evolution over the years. It's a fascinating read and gave me a lot of cultural insight that I knew nothing about. Overall it's an interesting read, although it had some culture touch points that were hard for me to grasp as a Westerner. But I got a lot of good information out of this book. I would say if you're interested in either Japanese culture or ghosts in general you'll find something worthwhile in reading this.